Sign-up for the winter Youth Recreation Programs will be held Wednesday, December 2, 2015, from 6 - 7 p.m., at the Youth Bureau office in City Hall, One City Plaza. Please check the Youth Bureau Page for further details. 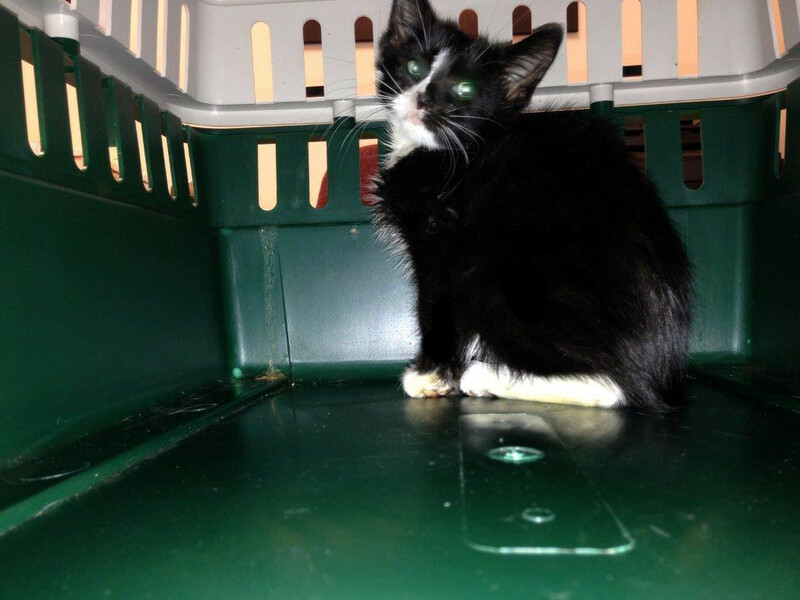 Piper, the kitten rescued by Norwich Fire Fighters and Code Enforcement Officers, has found a forever home. Piper was adopted over the weekend by a kind family in Cazenovia. On Monday, September 21, the Norwich Fire Department and Code Enforcement Officer Jason Lawrence was called to Arrow Laundry on Birdsall Street to rescue a stray kitten found trapped in the pipe that had supported the old sign. After dissembling the pipe the tiny kitten was pulled free and taken to Pet Street Station Animal Hospital to have her injuries treated. The kitten, nicknamed "Piper," is approximately three months old and is now looking for her forever home, far from the dangers of the street. Please contact City Code Enforcement at 334-1242 if you are interested in giving this lucky kitten a second chance! The New York State Public Service Commission is sponsoring a series of regional information sessions and public statement hearings regarding two proceedings currently before the Commission. The first proceeding is an examination of low-income programs offered by the major electric and gas utilities in New York State. The second concerns a Joint Petition submitted by Time Warner Cable and Charter Communications seeking Commission approval to merge into a new entity called New Charter. Please click here to read the fact sheets which provide information on both of these efforts as well as how to obtain the Staff Low Income Report and the Time Warner-Charter Communications petition. The pool at Kurt Beyer Park will close for the season on Sunday, August 23, 2015, as there will be insufficient staff to ensure safety. For pool hours click here. Come enjoy the music of the Norwich City Band performing its 2015 Summer Concert Series in East Park in the center of downtown Norwich. The Band features marches, show tunes, and old standards. It’s yet another reason why Norwich is one of America’s best communities! The City of Norwich Annual Water Supply Report for 2014 may be viewed here. The City of Norwich is soliciting bids for construction of a new water storage tank. Please see here for details. Bids will be received until 10:00 a.m. on June 30, 2015, at the City Clerk's office. The Board of Assessment Review will meet on May 26, 2015, at City Hall between the hours of 2 PM - 4 PM and 6 PM - 8 PM to hear and examine all complaints in relation to assessments, on written application of any person believing themselves to be aggrieved. The City of Norwich Youth Bureau has five summer bus trips scheduled. For more information, click here. Summer bus trip signup will be 6 PM on Wednesday, June 3, at City Hall. Summer Recreation Programs signup will be 6 PM, Wednesday, June 10, at City Hall. Check the Youth Bureau page for more information. To qualify for a tree you must: have a tree lawn planting location of at least 4 feet wide by 4 feet long, have a planting location that is more than 15 feet away from an intersection and 10 feet from hydrants, light poles, signs etc., agree to care for your new tree. If you already have a tree in your tree lawn or trees in your yard that extend into the tree lawn, your property may not be chosen. Official tree planting request can be submitted on-line here. Please submit the form by May 20, 2015. Tree will be planted in early June. The next Water Commission meeting will be the regularly scheduled meeting on June 17, 2015. The New York State Department of Transportation will be conducting pavement improvement on North Broad Street in the City of Norwich and the Towns of Norwich and North Norwich during the summer construction season. The roadway surface will be milled and paved, which means up to two inches of the existing pavement will be removed and replaced with new asphalt. Curb ramps will be repaired to comply with ADA standards where needed. Guiderail and guidance indicator signs will be replaced as needed. Construction will occur during the day and will include temporary single lane closures. Flaggers will direct alternating one-way traffic. Construction will be staggered to mill and pave approximately one-mile sections of roadway within two- to three-day intervals. Access to residences, businesses, and other facilities along the roadway system will be maintained during construction. For more information and for a Project Location Map, please check here. Flushing of City water mains will take place from May 5 through June 9. Hours of flushing will be 2:00 a.m. to 6:00 a.m. This procedure simultaneously checks hydrants for damage, leakage, flows, and operation. Please check here for details. Due to the lack of a quorum for yesterday's scheduled Common Council meeting, the meeting has been rescheduled for Wednesday, March 25, at 7 PM in the Common Council Chambers, One Court Plaza. The meeting will be rescheduled.